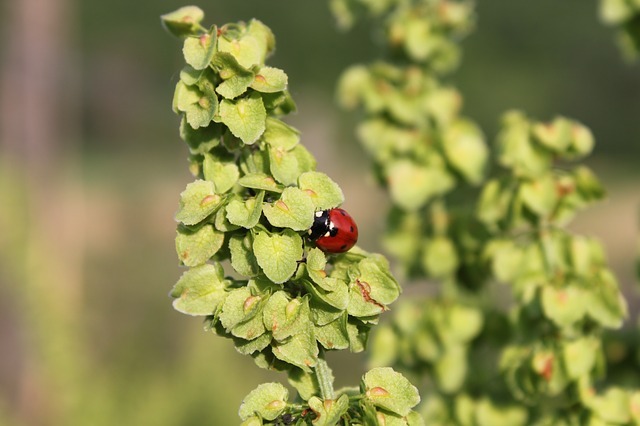 Curly dock (also known as yellow dock, sour dock, and butter dock, as well as other names) is one of the first wild greens ready to harvest in spring. This relative of rhubarb is a hardy herbaceous perennial weed native to Europe that has naturalized in the US. Look for it along roadsides, ditches, edges of wooded areas, and in fields. The lance shaped leaves grow in a basal rosette and have ruffled, or ‘curly’ edges, often with a reddish tinge. As the season progresses it sends up a flower stalk that looks similar to rhubarb flowers. 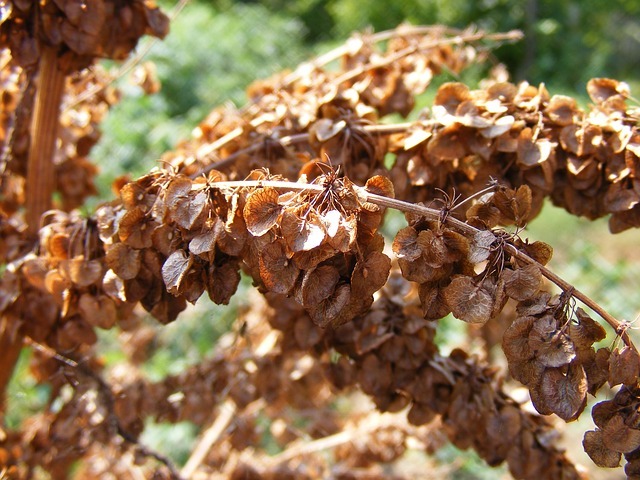 The papery seeds and flower stalk mature to a reddish brown in late summer and are easy to spot in the landscape. 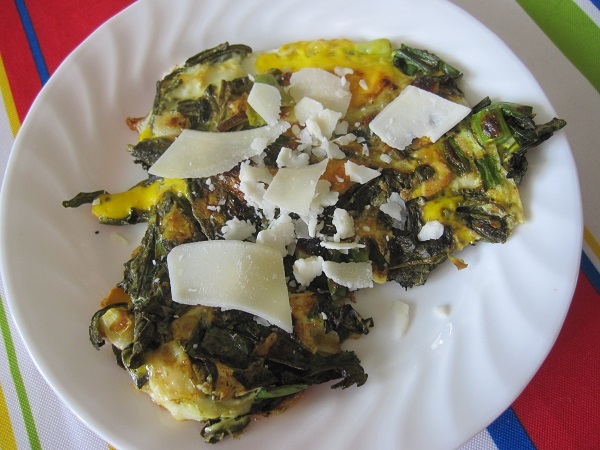 My lunch yesterday – an omelette made with curly dock leaves and Egyptian walking onions…with shaved Romano cheese. Curly dock contains oxalic acid which gives it a tart flavor and locks up nutrients in your digestive system if consumed in quantities. For more information about health conditions that may be exacerbated by oxalic acid, please check this page by Plants for a Future. Curly dock should not be consumed by women who are pregnant or breastfeeding. It is toxic to livestock, although they tend to avoid the bitter leaves and would have to eat quite a bit to be poisoned. Seeds in summer, before they mature and dry out. Harvest leaves when young and tender for best flavor. They will have a slimy texture…this is good. These leaves are not as bitter. Use them raw or cooked. The flavor is often described as lemony. I’m not sure about lemony, maybe my taste buds are weird. But I do find the flavor tart and earthy. Cooked up as greens in a pot of boiling water, curly dock leaves remind me very much of the flavor of marsh marigold, which my family called cow slips. My grandparents took me ‘cow slipping’ in early spring as a kid. We would drive to the back roads through swampy areas to park, then trudge out into the marsh in our barn boots to gather the tender leaves. My Gram cooked up the greens in boiling water and we would pour on a little apple cider vinegar. Even as a picky kid I learned to enjoy the flavor. Cow slips aren’t plentiful in our area, so I leave them and harvest curly dock as an alternative…and I savor the flavor in spring! Rosette of Curly Dock in spring. Wash chop, and cook leaves in omelettes, stir fries, soups, stews, or in other dishes in place of spinach. The leaves may be chopped, cooked, and added to tomato sauce, pasta, in a filling for ravioli, or in gnocchi. Cook up a “mess ‘o greens” in boiling water and drizzle with vinegar like we did when I was a kid. Collect mature seeds, winnow, and grind to make flour. This is very time consuming but it’s good to know for survival situations. Mature seeds may be harvested and used to grind flour, although this is a time consuming task. Check for more information on this page by Practical Self Reliance…Foraging Dock Seeds ~ Wild Foraged Flour. 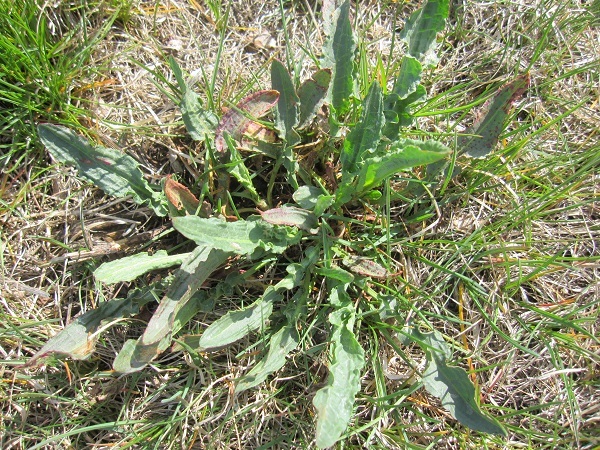 It is reputed to taste similar to buckwheat, another related plant. I haven’t tried eating the seeds of curly dock yet. 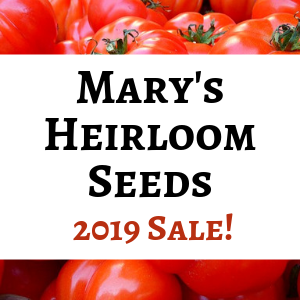 We don’t have enough growing in our area to collect the quantity of seeds needed to make flour. I’d like to try it someday. The branched taproots are yellow in color and may be harvested. I’ve read several comments that curly dock roots may be eaten as a substitute for potatoes, but I’m pretty sure that they don’t taste the same. Another foraging goal of mine is to harvest some and at least give them a try. 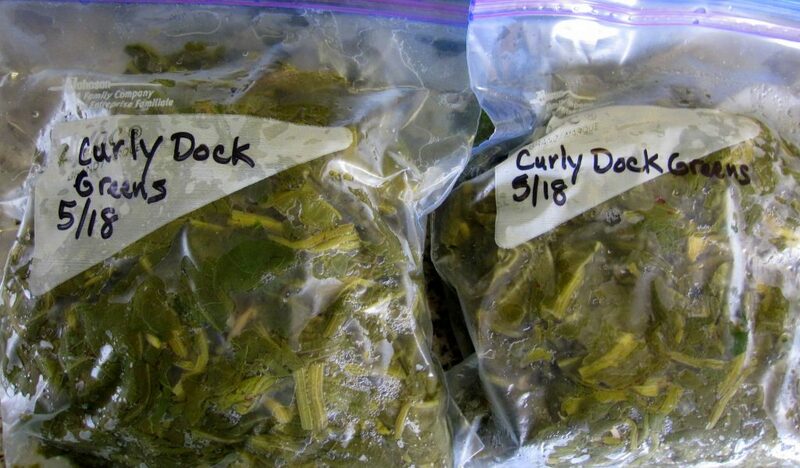 For information about preparing curly dock root for potential medicinal uses, check out How to Harvest, Prepare, and Use Yellow Dock Root Medicinally by Survival Sherpa. Curly dock leaves, blanched and ready for the freezer. Blanch leaves for 1 minute, cool, and freeze or dehydrate and store in a cool, dry, dark place until ready to use. I spent several hours yesterday harvesting, cleaning, chopping, and blanching curly dock and stinging nettles for lunch, dinner, and for freezing. These tasty greens will be much appreciated in the winter while the garden and wild areas sleep under a blanket of snow. Before you eat any wild plants, make sure you have identified them correctly and you’re preparing them properly. This post is not intended as a identification guide and you should use a reliable source to identify wild foods before consuming. You are responsible for your own health and well being! Have you foraged for curly dock? Leave a comment! 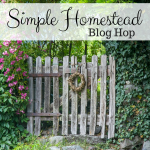 Hi Lisa, thanks for sharing our link in your fine article! I’ll have to cruise around your site for a bit. The self-reliance challenge sounds fun! Happy to share, Todd…I’m impressed by all you do and the educational service you provide on the Survival Sherpa. Thanks for sharing so much great information. I think that you take the self reliance challenge to a new level! Awesome post Lisa, I found it very educational. I have a friend who harvests dock for medicinal purposes. Thank you very much, Frank! I am planning to try making a tincture from the root, as described in the Survival Sherpa article I linked to. I’m always interested in natural medicines from the wild. Thank you, Lisa, this is an excellent post. I have curly dock growing in abundance; the only use I’d ever heard of was grinding the seeds for flour, something I’ve never tried. The leaves in my field are probably too big already to try this year. Thank you, Kathi! You could check in the center of the rosette for new leaves. I have actually used the medium aged leaves too and cooked them like spinach. I just don’t eat a big plateful to avoid overdoing it. Of course, you are farther south than I am so you might be right about the leaves being too big! And I had some of the curly dock greens mixed with stinging nettle with dinner. I added a little salt and a vinaigrette dressing, but I’m sure it would be good with just vinegar and salt. However you eat spinach – do the same for these greens. Thank you for this article, Lisa! 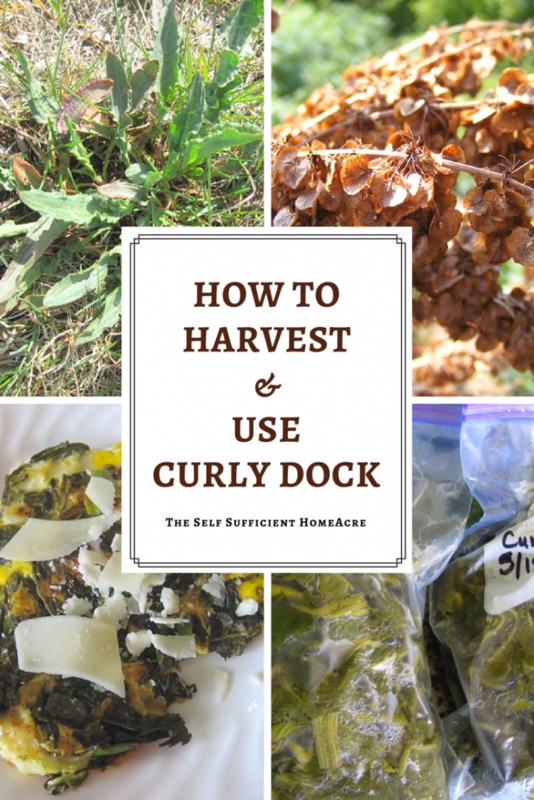 I was wondering what to do with all the curly dock in my pasture!